This property has gone through a major and ongoing renovation that has given it a new look and gives guests a view of the ocean. The suites have a W hotel appearance with all the ammenities, including chic livingrooms, bedrooms, and double baths, but they connect to other suites, and all come with a refrigerator, microwave and coffee maker, providing the perfect get-a-way for generations of vacationing families who want to be close to eachother. The grounds of this seaside hotel do provide guests with a real taste of Hawaii flavor in a California beach community. The huge rocks surrounding the pool and jacuzzi area, with lucious plants nesstled around a huge waterfall offer an island element where whole families can swim, play and enjoy themselves. Manicured lawns offer a bevy of outdoor games for kids to play on a short break from the pool, and the endless clean beach is just a few steps away. 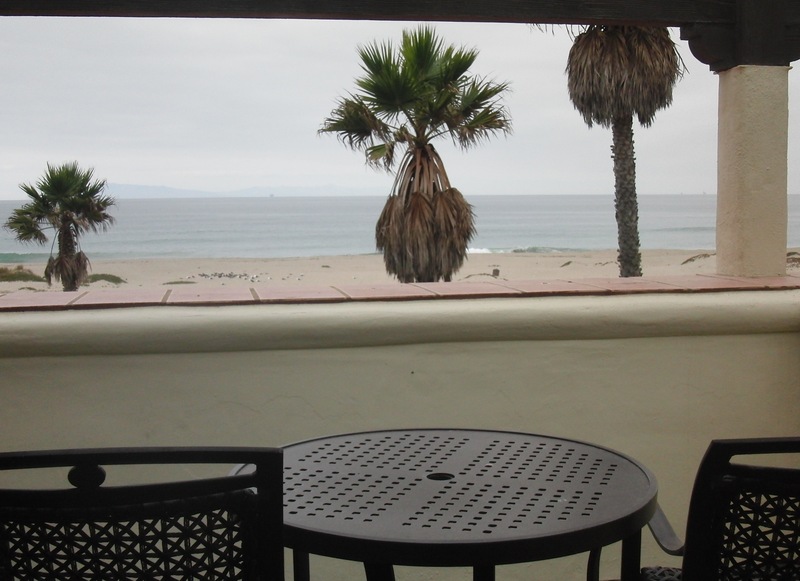 Guests can take very long walks along the Silver Strand or McGrath State beach in the morning before enjoying the inclusive buffet breakfast, or sitting down in the Capistrano's Restaurant for a more formal meal. Their is a managers reception for all guests each day at 5:30 where complimentary cocktails, soda and appetizers are served. The hotel has a popcorn machine and a snow cone machine to keep the kids busy and happy as well. The gym and spa offer exercise or a massage to help relax the body throughout the day, and the hotel can also schedule boat trips to the Channel Islands or arrange fishing for those who are interested. Ask about the Wine on the Water trip on the charming Scarlett Belle that was recently organized by the Oxnard Wineries. It is a fabulous way to enjoy great local wines and food while gliding by some of the most beautiful homes in the channel. Oxnard has great restaurants, wineries and museums as well as interesting shopping for adventurous guests who want to discover the secrets of this city with a history. The Mullin Automotive Museum is nearby and a wonderful outing for the entire family. Heritage Square in Oxnard has a collection of amazing historic homes that are include a restaurants, and winery. Tours are offered to visitors. The Capistrano's Restaurant in the Embassy Suites is a wonderful venue for dinner. Comfortable booth's fill the center of the room and each table is illuminated with a classic silver lamp, just bright enough to see but not bright enough to change the romantic mood of the room. Executive Chef Richard Myatt is relatively new to the hotel, but has a wonderful fifteen year ciriculum vitae that includes work with Maestro's and Safire Restaurant. His work at Maestro's is apparent in his delicious steak and beef preparations. The steak and braised beef dishes are outstanding, as is the house salad and a bevy of sinful endings which include Keylime pie and chocolate creme brulee. I especially liked the varity of Mediterranean flat breads offered on the menu. Wines at the hotel feature California favorites and wines of Oxnard including Herzog, Rancho Ventavo and Magnavino. The brunch served here is also something beautiful to behold, filled with colorful and delicious seafood, salad and dessert items. The bar just off the restaurant offers some very creative cocktails and becomes a hot night club later in the evening, where the fabulous Jeanne Tatum Band did a rendition of "Proud Mary" that made everyone in the place get on their feet to roll along the river. Oxnard is only forty minutes from Santa Barbara and a little over an hour from LA by car. It is easy to access from Seaview off the 101 Freeway, and offers an ideal escape for the whole family to enjoy a child safe day at the hotel pool or all day play on the beach; picnic lunches are available.